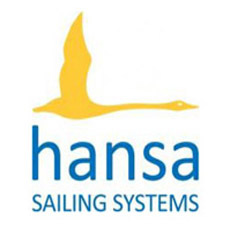 Oxford Sailing Club recently played host to the ninth leg of the UK Hansa Class Association’s National Traveller trophy Series. This event was also the 3rd round of the Grand Prix series. The East wind on Saturday was fitful and oscillating by over 100 degrees as clouds passed over a course that had been modified from the usual triangle to windward-leeward. Tacking on the wind shifts was essential for a good position in Race 1, as was choosing whether to go left or right at the downwind gate. The 2.3s and 303s went left but David Durston in his Liberty went right then tacked into a lift that took him all the way to the windward mark, arriving well ahead of the other Liberties. In the 303 singles, approaching the finish, James Woosnam luffed Tessa Watkiss, fluffed it and she powered over him to win. The course length was reduced for Race 2 but the wind decided to freshen so four good laps saw plenty of place changing, with Lindsey Burns sailing the 2.3 like a Laser downwind and 303s trying hard to keep jibs filled for speed. Starting well, Melvin Kinnear did a “Durston” and finished an excellent first, making them level on points but Melvin was unable to stay for Sunday so the title of “Best Liberty Racer” is unresolved. The wind faded for a time in race 3 but Andy Sheath and Kate Lintott kept moving, by good tactics and finding patches of wind, to win the 303 doubles. Sunday’s breeze was good and steady, giving enjoyable racing but reduced fleets as several competitors had to go home including the entire 2.3 and 303 singles fleets. David Durston convincingly won every Liberty race, with good downwind speed and high pointing. Tim Scarisbrick and Anya De Iong always looked fast in the 303 doubles, to win by 5 points. A late rally by Andy Sheath was too late to close the gap but his previous day’s win broke the tie with Martin Hadley and Steve Kitson to give him second overall. 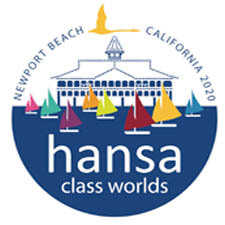 Full series results can be found on the UK Hansa Class Association website here.